Stephen Owen was born in Shepherds Bush London W12. In 1985, billed as a young talented impressionist, Stephen made his first professional appearance at Harrow Borough FC supporting comedy legends Jimmy Marshall and Jeff Stevenson. Stephen owns one of the most unique back stories in show business, combining vast performing experience with a career as a police detective. Pursuing comedy as both a passion and healthy coping strategy. 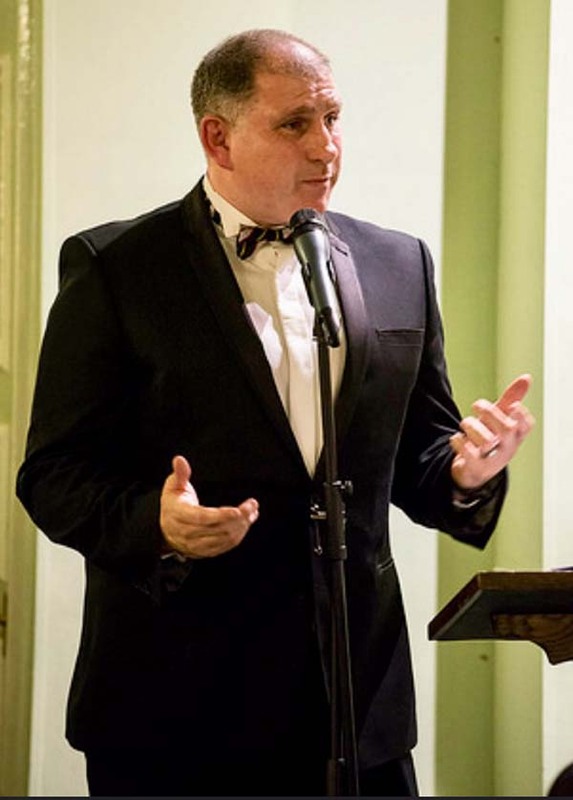 Since retiring from the boys in blue, he is now an established and respected MC and After Dinner Speaker having entertained for many years solely as a mimic. Recent work has seen Stephen host auction’s, quiz nights and perform at comedy gigs around the country as an MC/ Headliner. A natural performer with vast experience. His polite manner and friendly, flexible, human approach makes him easy to work with. His ability to communicate and engaged with audiences creates an innocent sense of fun with a few cheeky twists…. He has a broad range of accurate celebrity accents covering 30 years of entertainment. Stephen has performed his own brand of comedy to support many celebrities from the worlds of sport and show business.